With Virginia’s win over Virginia Tech on Monday night, North Carolina is now in position to create a three-way tie at first place in the ACC standings with an upset victory at Duke on Wednesday. 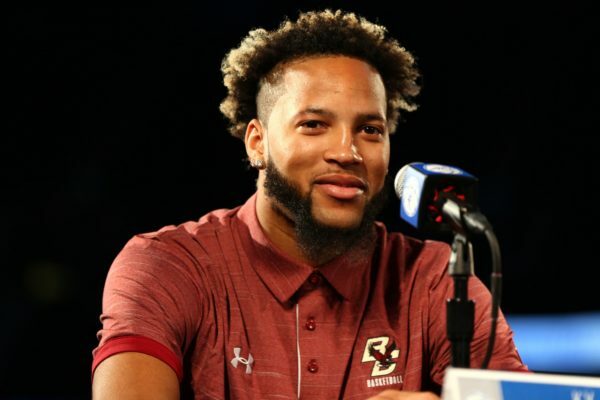 Florida State: Just one short month ago, the Seminoles blew a 10-point halftime lead at Boston College to extend their losing streak to three games. That defeat dropped Florida State to 1-4 in ACC play and out of the national polls. With a promising season circling the drain, Leonard Hamilton’s veteran squad has responded by winning every game since. 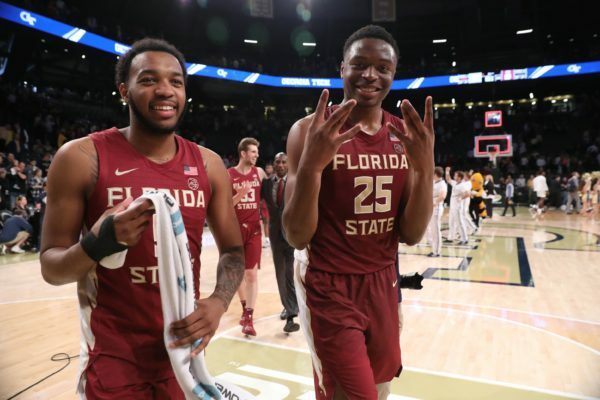 In ripping off those seven consecutive wins, Florida State has vaulted itself back into the second tier of the league behind Virginia, North Carolina and Duke. Only a dramatic comeback overtime victory over Louisville and a nine-point handling of Clemson were close games. In typical fashion, the Seminoles are winning with balance, depth, length and defensive acumen. Five different players have led the team in scoring over the past seven games, and only the Cardinals reached 70 points against their top-20 defense. Sophomore Mfiondu Kabengele has been a revelation, leading the Seminoles in scoring despite not starting a single game. Senior Terrance Mann is the only other player averaging in double figures, but Florida State’s lack of an explosive scorer is made up in the balance of having eight guys notching 6.5 points per game or better. The Seminoles face a stiff test in keeping its current winning streak alive, as a trip to a desperate Clemson team looms tonight followed by a visit to Chapel Hill. But, with a split, and with all of its final four games coming in Tallahassee and at Wake Forest, Hamilton’s squad could find itself right where most envisioned prior to its slow start — as the #4 seed heading into the ACC Tournament. It appears that the ACC is on a regular rotation this season that provides us with a great set of games every other weekend. Still, there were some interesting things happening on Saturday around the league; Louisville almost blew another late lead before holding on to edge Clemson, 56-55; and Virginia had an unexpectedly tough time with Notre Dame, winning 60-54 in Charlottesville. Elsewhere in the conference, North Carolina routed Wake Forest, 95-57, in Winston-Salem, and first-place Duke handled NC State in Durham by a score of 94-78. Here are the highlights from the weekend around the ACC. Best Win: Coming off back-to-back heartbreaking losses to Florida State and Duke — games in which Louisville led both games by double-figures late — Chris Mack’s club almost did it again. 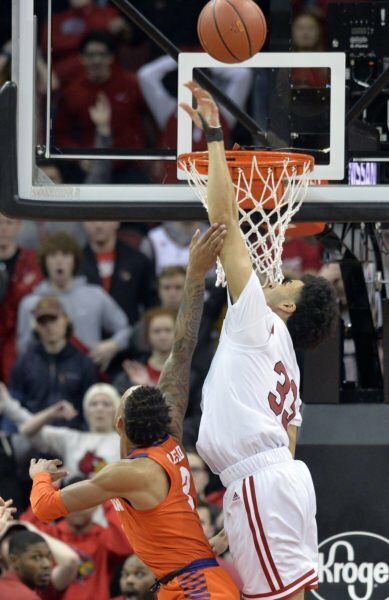 This time, the Cardinals led Clemson by eight points with 30 seconds to go, before falling apart again in front of a stunned crowd at the KFC Yum! Center. At the end, Louisville practically handed the game to the Tigers when Marcquise Reed stole Jordan Nwora’s inbounds pass in the lane with three seconds to go — had Nwora not redeemed himself by blocking Reed’s short jumper to preserve the one-point victory, the Cardinals would be in full meltdown mode. Normally, we wouldn’t bestow “Best Win” status to a ranked team that barely survived against a squad with a sub-.500 conference record, but in this case, Louisville gets that distinction because it possibly saved its season. Worst Loss: We also have an unusual choice in this weekly category. Nobody expected lowly Wake Forest to give North Carolina much of a game on Saturday, but the enormous margin of defeat — 38 points represents the largest in series history — may be the final nail in the coffin for Danny Manning’s tenure in Winston-Salem. After barely squeaking into the 2017 NCAA Tournament First Four, Manning was given a six-year contract extension — reportedly with a huge buyout attached. Since then, the Demon Deacons have posted a 20-35 record, including a pathetic ACC mark of 6-24. If Manning gets fired after the conclusion of this season, we recommend that the school have someone other than athletic director Ron Wellman choose the next head basketball coach. He’s certainly whiffed on his last two selections (Jeff Bzdelik and Manning) and as a result, Wake Forest is now one of the worst power conference programs in college basketball. What’s Trending is a column examining the week that was in college basketball social media. Matthew Eisenberg (@matteise) is your weekly host. It was quite a week for Kentucky at Rupp Arena. It began with a controversial ending as SEC rival LSU got the benefit of the doubt when it came to a tip-in at the buzzer. The loss pushed Kentucky two games behind SEC-leading Tennessee. Not to worry, though, as the Wildcats took a bite out of the #1 team in the country in a prime time showcase between top-five teams. There have been 87 coaches to face AP No. 1 ranked teams at least 7 times. #2 Virginia (14-0, 2-0) at #40 Clemson (10-5, 0-2). First to 50 wins? Expect a defensive struggle at Littlejohn Coliseum tomorrow afternoon, as two of the best defensive teams in the country get together (Virginia ranks third, Clemson 24th, per KenPom). The good news for anyone hoping for some offense? Each team has a dynamic guard who comes into this game on fire. 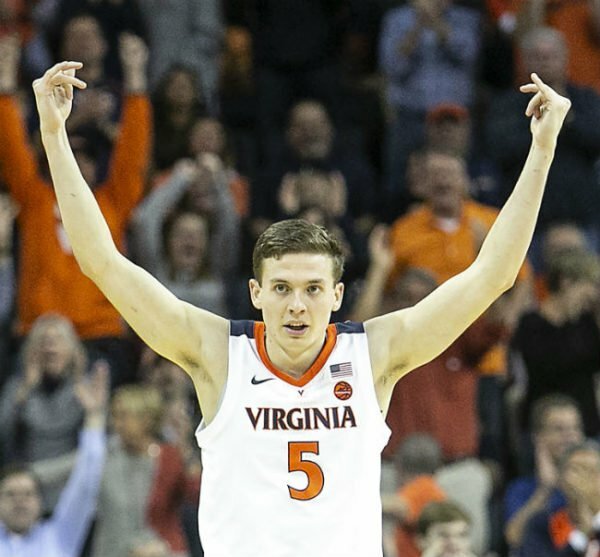 Virginia’s Kyle Guy is averaging more than 19 points per game over his last four outings while shooting 61.5 percent from long-distance and 62 percent from the field. Meanwhile, Clemson’s Marcquise Reed is also putting up just over 19 PPG in the same span while making 46.7 percent of his threes and adding 5.0 assists and 5.3 rebounds per game. This is a monster opportunity for Brad Brownell’s Tigers, which otherwise look headed for the bubble. The key for his squad may be turnovers. Clemson has given the ball away 16 or more times in five straight contests after doing so just once in their first 10 games. Given how few possessions there will be tomorrow, Clemson cannot afford to squander any opportunities to score against Tony Bennett’s defense. #39 Louisville (10-5, 1-1) at #6 North Carolina (12-3, 2-0). The two leading scorers for Louisville and North Carolina may be two of the most underappreciated players in the entire ACC. Cameron Johnson gave every Tar Heel fan a scare when he left Tuesday’s game against NC State with what initially looked like a serious knee injury. Luckily it was cramping instead, because he’s been the best player on Roy Williams’ squad this season. The seniior leads the team with 16.2 points per game but is also backing it up with excellent efficiency numbers (24.5 PER, 127.5 ORtg). His flexibility allows the Tar Heels to play big or small, and his size makes him a tough cover for opposing defenders. For the Cardinals, Jordan Nwora (17.3 PPG, 8.3 RPG) is having the breakout season Louisville fans have been waiting on from V.J. King since he stepped on campus. There are still lots of questions about Chris Mack’s inaugural team in Louisville, but Nwora (27.6 usage rate) has answered the call as a go-to-scorer. All the favorites held serve on the first weekend of conference play around the ACC. On Saturday, the league’s co-favorites each won handily at home, as Virginia took care of Florida State and Duke routed Clemson. Two other ranked ACC squads were also successful – North Carolina blitzed Pittsburgh and Virginia Tech bested Boston College. The weekend was incredibly devoid of close games, with no outcomes among the group decided by single digits. Here are the highlights from (the real) opening weekend around the ACC. Best Win: By dominating Florida State from start to finish, defending league champion Virginia served notice that the ACC regular season title race still runs through Charlottesville. 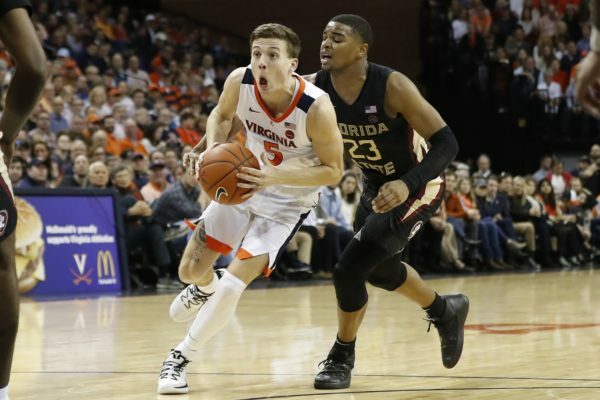 A final score of 65-52 was not indicative of the complete beatdown that the Cavaliers administered on Saturday afternoon – the Seminoles scored the last 16 points of the game to make it look better than it actually was. Up until that point, Tony Bennett’s defense had held high-scoring Florida State to just 36 points over 38 minutes of play. Junior sharp-shooter Kyle Guy was red hot (5-of-6 from deep), leading the Cavaliers with 21 points, including 18 in the opening half. Worst Loss: With no upsets occurring over the weekend, we’re going with Notre Dame’s home loss to Syracuse, 72-62. The Irish looked good early, leading by 10 points at one point, but Syracuse rallied behind sophomore transfer Elijah Hughes, who posted a career high 22 points on 6-of-13 three-point shooting. Mike Brey’s two freshman guards had a tough time in their first look at the Orange’s lengthy zone defense, as Prentiss Hubb and Dane Goodwin combined for just four points on 1-for-10 shooting. With its thin roster, Notre Dame can’t afford to drop too many home games if the Irish hope to have a chance at postseason play. When Louisville pried Chris Mack away from Xavier last May, the move was almost universally lauded around college basketball circles. Given the swirl of uncertainty that had become pervasive in the Cardinals’ program over the last few years, nabbing a head coach of Mack’s standing was viewed as a major coup. Sure, a commitment of seven years and nearly $30 million dollars helped, but no price was too steep to acquire someone of Mack’s ability and character. The end of the Rick Pitino era had been marred by very personal and very public lapses of morality mixed with fiery defiance and steadfast refusal of accountability concerning illicit recruiting practices within his program. The Hall of Fame coach’s excellence on the court — Louisville had returned to its historical status as a top 10 national program, just behind the perennial blue-bloods — gave him enough rope to survive a school-imposed postseason ban in 2016; but the final straw came in connection with allegations of fraud and corruption that rocked the NCAA to its core. Louisville saw that it was at a crossroads and its next hire would undoubtedly dictate the trajectory of the next decade of Cardinals’ basketball. After making the NCAA Tournament in eight of nine seasons at the helm of his alma mater (most recently as a #1 seed), there were only a handful of candidates available who would consider a job facing such an uncertain future. Mack, whose wife is a native of Louisville, nevertheless took the leap, with the expectation that his first season would act as a bridge campaign with a roster largely barren of high-major ACC talent. Expectations are always a moving target, however, and the early returns on Mack’s hire are much better than anticipated. In winning five of its first seven contests, the Cardinals have looked exceedingly capable and competitive against the nation’s 24th-toughest schedule. The most recent four-game gauntlet of Tennessee and Marquette on a neutral floor, home for Michigan State, and at Seton Hall, yielded a respectable 2-2 split with discussion of an at-large NCAA berth considered a very real possibility. #16 Virginia Tech at #38 Penn State. Buzz Williams has another terrific offense brewing this season in Blacksburg. The Hokies currently rank seventh in KenPom’s adjusted offensive efficiency and are making 41.4 percent (26th nationally) of their shots from long distance. They’ve also gotten the start of a breakout season from sophomore Nickeil Alexander-Walker (29.8 PER, 60.6% eFG). Their hot shooting will be tested tonight by a Penn State defense that is allowing its opponents to make just 22.9 percent (fourth nationally) of their attempts from three-point range. While excellent on the perimeter, Virginia Tech lacks size and could be vulnerable to Nittany Lions forward Lamar Stevens (26.6 PER, 24.8 PPG, 8.8 RPG). #95 Illinois at #52 Notre Dame. Mike Brey’s club currently ranks just 51st in offensive efficiency, which is an odd sight to see. The last time a Brey team finished outside the top 50 in that category was all the way back in 2004-05. Part of the struggles this season have laid at the feet of T.J. Gibbs, the expected star of this team who has shot just 32.4 percent from the field and 21.1 percent from three-point range. Notre Dame will need to make some shots tonight to get a win, as the Illini feature a talented young backcourt of sophomore Trent Frazier (17.6 PPG, 58.3% eFG) and freshman Ayo Dosunmu (14.5 PPG, 57.6% eFG). #8 Michigan State at #58 Louisville. Hello, Jordan Nwora. It hasn’t taken long for the talented Cardinals’ sophomore to break out this season, already the team’s leading scorer (18.4 PPG) despite coming off the bench. Nwora (29.4 PER, 57.6% eFG) is not simply a scorer, however. He’s posting a 27.8 defensive rebounding percentage and his turnover percentage is much improved this season despite more usage. While Nwora is actively turning into an ACC star, the Cardinals still have issues on the defensive end. They’re allowing opponents to shoot 43.8 percent from the field and 37.5 percent from long distance. They’ll have a tough task scoring tonight against Michigan State (eighth in KenPom adjusted offensive efficiency). 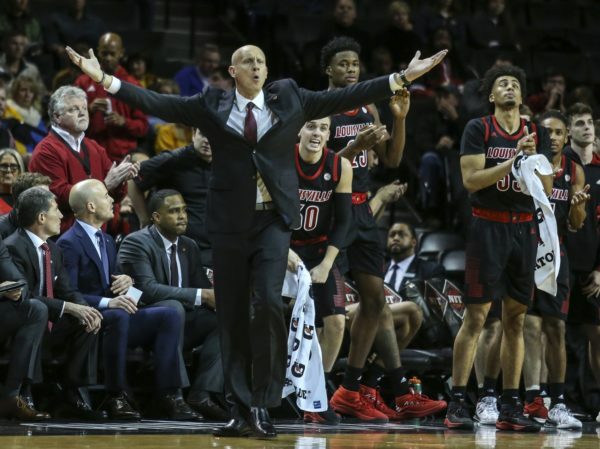 Card Chronicle: As this article at Card Chronicle points out, Louisville fans may need to show some patience this year despite obvious excitement about the beginning of the Chris Mack era. Success in 2018-19 should be measured by progress on establishing standards for the kind of toughness that Mack’s teams exhibited at Xavier more than the Cardinals’ win-loss record and/or postseason status. To that end, expected starter Jordan Nwora came off the bench in Louisville’s opening tilt against Nicholls State because of poor practice performances leading up to the game. Transfer center Steven Enoch was impressive in his debut, however, posting 15 points, grabbing eight boards and going perfect from the foul line (9-of-9 FT). Miami Herald: Just prior to Friday’s opener against Lehigh, Miami announced that junior big man Dewan Hernandez was being held out because of eligibility concerns. It is possible — perhaps even probable — that Miami’s decision on Hernandez is related to last week’s announcement that the NCAA has been given the go-ahead from the federal government to start its own investigations into recruiting wrongdoing using FBI evidence. Hernandez’s name came up in the recent FBI trial as someone who convicted former Adidas runners wanted to bribe with cash payments. In Friday’s game, Chris Lykes showed he may be ready to take on a much larger role for the Hurricanes as a sophomore, notching a career-high 22 points in their 83-62 victory. News & Observer: Duke experienced a minor letdown in its trickier-than-expected 94-72 home win over Army on Sunday afternoon. After the game, head coach Mike Krzyzewski said his players let “significant noise” creep into their heads following last week’s blowout win over Kentucky, which affected the Blue Devils’ preparation. We also found it interesting that ESPN chose to broadcast this game on its primary network directly opposite the early afternoon NFL games. Doing so speaks to the interest and impact of Duke’s star-studded freshman class, especially social media superstar Zion Williamson. For anyone who thinks reversing the NBA’s one-and-done rule would be good for college basketball, would ESPN put Duke-Army on its flagship channel against the mighty NFL if Marques Bolden was the most heralded player on the floor? 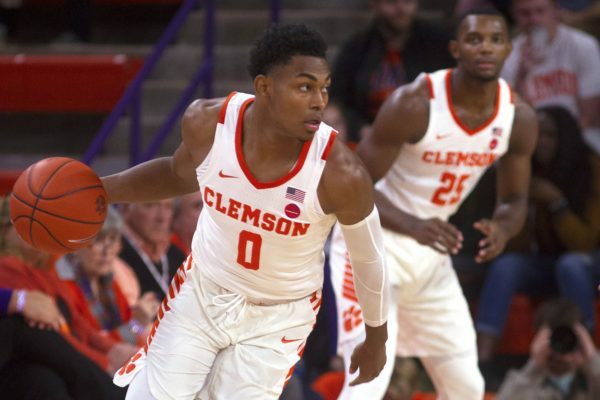 Tigernet.com: We knew Clemson would be led by its three returning senior starters this season — Marcquise Reed, Shelton Mitchell and Elijah Thomas — but the Tigers’ remaining supporting cast was unproven offensively. So far, however, Brad Brownell is getting excellent production from his other two starters, David Skara and Aamir Simms. A defensive specialist last year, Skara scored in double figures in each of the Tigers’ two easy wins last week, while Simms is making our colleague Mick McDonald look very smart for picking him to be an ACC breakout player this year. The sophomore forward is averaging 15.0 points per game while shooting 75.0 percent from the floor. Furthermore, after making only 14 threes last season, Simms has already sunk 5-of-6 attempts from distance so far this year. News & Observer: It appears that we may have our first in-season roster casualty in the ACC as freshman big man Ian Steere could be leaving NC State after playing in the Wolfpack’s opener. Kevin Keatts is known for playing only one big man on the floor and it must have become obvious to Steere that his minutes would be limited behind incoming transfers Wyatt Walker and D.J. Funderburk. Even looking ahead to next year, the Wolfpack will also welcome former Kentucky forward Sacha Killeya-Jones to its roster. On the court, however, it looks like Keatts is having no problems blending his newcomers into a dangerous unit, blowing out NC State’s first two opponents by an average of 48 points. As we head into another exciting ACC season that tips off in next week, we will be reviewing the key question for each of the league’s 15 squads. Next up, Mick McDonald (@themickmcdonald) keeps things rolling with a look at Boston College, Notre Dame and Louisville. Boston College Burning Question: Will Jerome Robinson’s departure doom the Eagles to another year near the bottom of the ACC? Everything appeared to be lining up perfectly for Boston College head coach Jim Christian before star shooting guard Jerome Robinson decided to leave school early as a lottery pick — now, somewhat suddenly and unexpectedly, this season looks much murkier in Chestnut Hill. Robinson’s running-mate in the backcourt, Ky Bowman, is back, however, and although he can do it all, he’ll need to improve his offensive efficiency (104.5 ORtg) this season if the Eagles hope to climb from 12th place in the ACC standings. Jordan Chatman (39.5% 3FG) played third banana in the Boston College backcourt last year and will also be counted on to replace some of the scoring punch lost with Robinson’s departure. While Bowman and Chatman should be able to provide considerable offensive firepower in the backcourt, Christian’s team will only be successful if its frontcourt can contribute more regularly than last season. Sophomore Steffon Mitchell (8.3 RPG) looks like he has the potential to become an effective ACC big man and junior Nik Popovic significantly improved his offensive output a season ago (from a dreadful 95.5 ORtg to a respectable 107.9). The most exciting piece among the front line, however, is freshman Jairus Hamilton, a top 100 recruit who spurned the likes of NC State and Duke to head north. They certainly can’t count on Hamilton to fill the shoes of Robinson immediately, but he is the type of player that Boston College needs to compete in the talent-rich ACC. 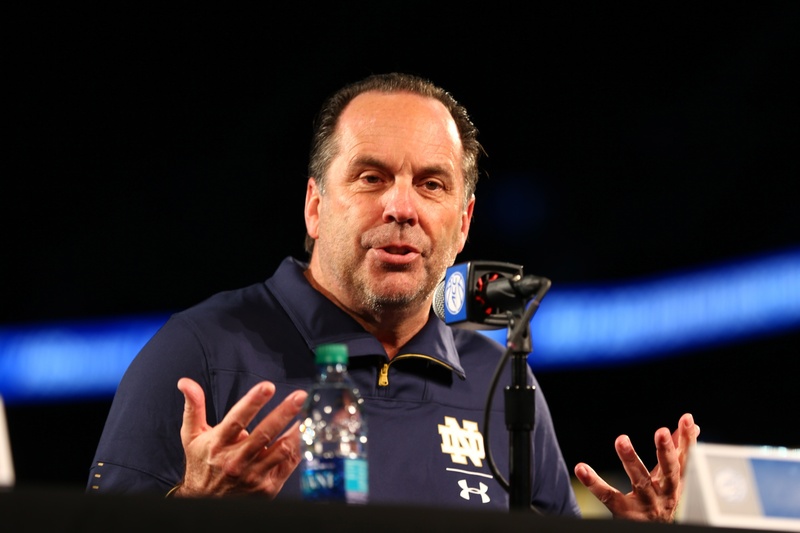 Notre Dame Burning Question: Is Mike Brey actually a wizard? Notre Dame head coach Mike Brey might actually be some kind of wizard. It seems as if the Irish lose a player or two every year that they simply cannot afford to lose. Analysts over the summer then decide that Notre Dame’s run of sustained success is over. Brey just simply gets back to work; a player or two nobody thought much of turn into better versions of themselves; and the Irish are dancing come March. Last year it took two crippling injuries to Bonzie Colson and Matt Farrell to keep Notre Dame out of the NCAA Tournament, and they were still the first team out! That pair is now gone, but if that makes you think Brey’s club is headed for bad times, so be it. I’m not falling into that trap. You know the returning stars and you know all about the five-star freshmen who are set to make their debuts. Today we present five ACC players who we believe will be household names around the conference by March. Aamir Simms, Clemson. A back-end top-100 prospect coming out of high school, Simms was a project last year. In his first 17 games, he mostly saw action in garbage time. But when star forward Donte Grantham tore his ACL on January 20 at Notre Dame, Simms was a different player. Over his last 17 games, the bulky forward shot 48 percent from the field and made 39 percent from three-point range in becoming a key cog of the Tigers’ attack. With an experienced backcourt that excels in ball screen action returning, look for Simms to continue to emerge as one of the best pick-and-pop stretch forwards in the ACC this season. Jordan Nwora, Louisville. Last season at Louisville was a mess from the very beginning (you may have heard about this whole Brian Bowen situation). A group of talented veterans never really meshed under interim coach David Padgett, but because they logged such heavy minutes, the Cardinals’ underlying freshman class never really got a chance to show what it could do. The wing Nwora played just 12.0 MPG last season, but he shot almost 44 percent from long distance and logged a stellar 61.2 percent eFG in ACC play. With new head coach Chris Mack taking over, expect Nwora to become his go-to bucket-getter. © 2019 rush the court. all rights reserved. "Partner of USA TODAY Sports Digital Properties"